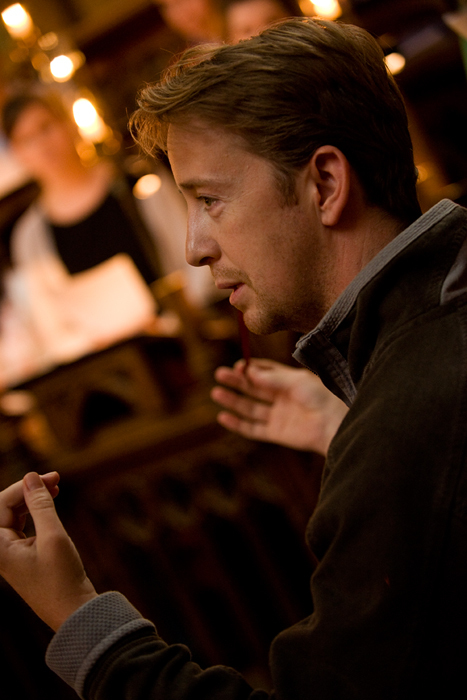 Join in and be part of Hastings Early Music Festival’s workshop day with Eamonn Dougan (Associate Conductor, The Sixteen). Work with one of the leading experts in vocal training and gain insight into music sung by The Sixteen. Join Eamonn Dougan for a choral workshop exploring music by Palestrina along with MacMillan’s O Radiant Dawn. Both these pieces are from The Sixteen’s ‘Queen of Heaven’ programme that they are performing at St Mary in the Castle on October 18. This is a brilliant opportunity to gain insight into the repertoire with one of the key members of the group, associate conductor Eamonn Dougan. Eamonn offers expert advice on vocal technique and regularly gives workshops for The Sixteen in their community programme throughout the UK. We are delighted to welcome him to Hastings Early Music Festival. This workshop is for singers of all ages and backgrounds. Music can be sent out in advance on request. Alexander Technique – there will be a short workshop on the Alexander Technique for musicians with Andrea Corso at 10.00 – 11.00 am. This is free of charge for those attending the choral workshop. Please get in touch with any queries. Places are limited so early booking is advised.